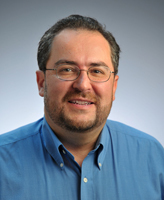 Distinguished scholar Carlos Jáuregui joins the University of Notre Dame faculty this fall as an associate professor of Spanish in the Department of Romance Languages and Literatures. A native of Bogotá, Colombia, Jáuregui is the author of several books whose scholarship encompasses colonial and transatlantic studies, cultural studies, 19th-century Latin American literature, postcolonial theory, and the cultural history of Spanish America and Brazil. 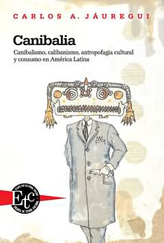 He won the 2005 Casa de las Américas prize—one of Latin America’s oldest and most prestigious literary awards—for his book Canibalia, and received a 2010-2011 National Endowment for the Humanities fellowship for a new project called Going Native and Becoming Other in Latin American Literature and Film. Jáuregui, who had taught Latin American literature and anthropology at Vanderbilt University since 2001, says his main research interest is in the area of colonial studies. Because many of the people who go native “don’t come back and write books about it,” Jáuregui says his current work looks at a combination of historical and fictional accounts. At the same time, “going native also refers to a liberating and joyful departure from the restrictions of the normalized parameters of identity,” he says. Jáuregui is delving into these issues with Notre Dame undergraduates as part of a fall 2011 seminar called Going Native and the Colonial Imagination. In spring 2012, he will teach a course in colonial literature. At Notre Dame, Jáuregui says he is also looking forward to working with graduate students, developing a relationship with colleagues in the departments of anthropology and history, as well as in the Kellogg Institute for International Studies and the Institute for Latino Studies, and getting involved in campus cultural events. Chairing the organizing committee for a national tour of an exhibit by Ecuadorian artist Oswaldo Guayasamín was one of his one of his proudest accomplishments at Vanderbilt, he says, and he plans to seek out similar opportunities here on campus. Jáuregui says he immediately felt at home when he came to visit Notre Dame and is excited to become part of its Department of Romance Languages and Literatures. “Faculty and students aren’t afraid of the big questions here, questions about ethics, social justice, human rights, and don’t abandon them for micro-specialization,” he says. Originally published by Mark Shuman at al.nd.edu on November 03, 2011.